Home News 81 Cows Killed & 36 Stolen - How should the Owners React? 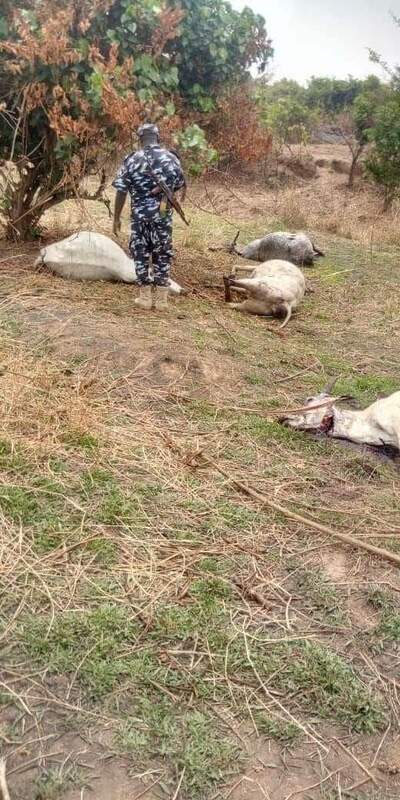 81 Cows Killed & 36 Stolen - How should the Owners React? 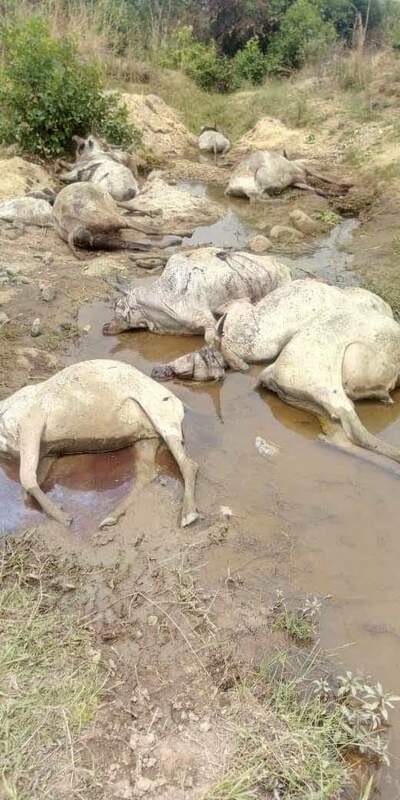 On Tuesday, 19th March, there was report of 81 cows killed while 36 was stolen in Plateau state but there is clean anger by Nigerians towards this act. There is a delima if retaliation should be allowed and on what - some agree to it but insist it must not be with human lives, some remain indifferent. 81 cows killed ,36 rustled in Platue it won't go viral now, but when retaliation occurs you start screaming herdsmen . Am not Hausa but you can't come for my livelihood and not answer to whatever drums I beat for u. This is so wrong. "This doesn't make sense. But whatever retaliation that will be carried out should not be in form of killing humans. We cannot equate the soul of a man to that of a cow. I sympathise with cow owners, may the almighty replenish their pockets." "I won't agree on this one, Yoruba elders would say a man who wants to take your livelihood away would definitely kill you. I won't condone human loss as payback but if care isn't taken it would lead to it." "This is clearly timed for political mischief. With the elections on Saturday, someone wants to trigger a terrible event in the state that will cause chaos and disaffection. The locals won't just wake up and kill lots of cows for the hell of it. I pray communities don't retaliate." "Sick minds like yours are what many people had to endure because they are Nigerians. ' retaliation' against who if I may ask you. Is 'retaliation ' the proper way or is it the law. 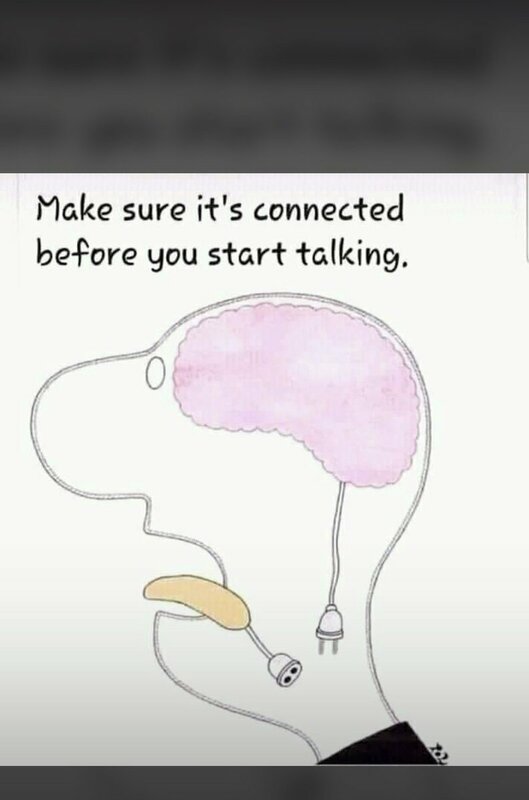 And then you tried to appear fair by saying you are not ' hausa'. You better examine yourself." "I was in shock after reading his write up, like is he normal? How does he know who or what killed the animals? Who exactly is he holding brief for? Herdsmen that have already butchered over 4,000 innocent citizens for no just cause?Comparing animal life to human life!"